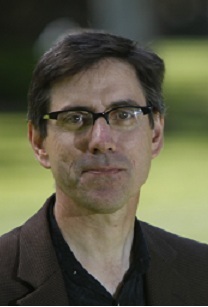 I am a Professor of Economics at UC-Davis, chair of the steering committee of the All-UC Group in Economic History, and a Research Associate of the Center for Poverty Research at Davis. My main current research is on the history and nature of social mobility, investigated using the status information content of surnames and its rate of change over time. Using such methods we can estimate rates of social mobility as early as 1300 for England, and 1700 for Sweden. But I still also study long run economic growth, the wealth of nations, with particular focus on the economic history of England and India. I teach undergraduate and graduate World Economic History, and help organize the economic history seminar. We have one of the strongest groups of economic historians in the world here. If you are interested in Economic History at Davis check the web sites of my colleagues Peter Lindert, Chris Meissner, Alan Olmstead, and Alan Taylor. I grew up in Scotland, where one of my contemporaries at Holy Cross High, Hamilton, was Donnie Burns, 14-time World Professional Latin American Dance Champion. My grandfathers came from Ireland to work in the coal mines and steel mills of the Clyde Valley, as part of the great diaspora of the Irish triggered by Ireland’s failure to industrialize in the nineteenth century. My path from the rain of the West of Scotland to the sunshine of California was by way of degrees at King’s College, Cambridge, and Harvard, and faculty positions at Stanford and Michigan. My office is 1137 Social Sciences and Humanities Building. To contact me stop by, call 530-574-7188, or send an e-mail.